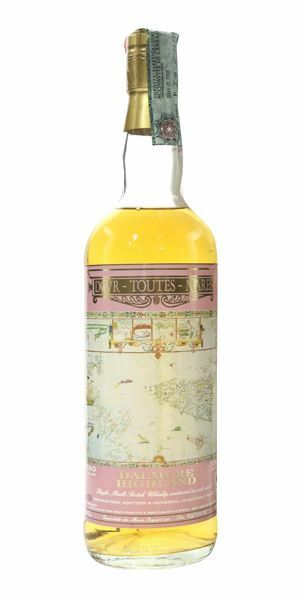 For the second instalment in his exploration of older and more obscure Moon Import bottlings, Angus MacRaild begins with a 1980 Dalmore bottled in 1996 for the Dovr-Toutes-Mares series, a collection of seven malts with packaging depicting antique cartography. He discovers a fresh and expressive example of Dalmore’s distillate, which he claims is more often obscured in the official bottlings. Following on from Dalmore, MacRaild discovers a ‘deeply frustrating’ example of Glen Garioch 1966 bottled in 1998 for the Horae Solaris series. Half farmy and peaty, half a soap bomb, MacRaild finds the whisky a touch schizophrenic. 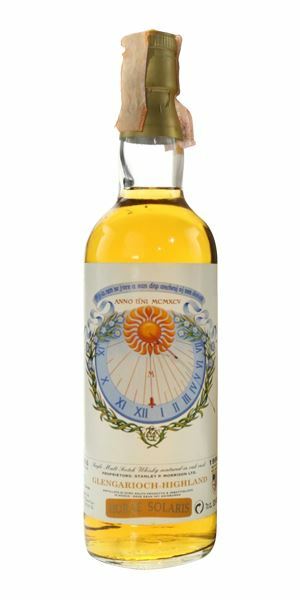 Rounding this mini-Moon exploration off is a single grain whisky from North British distillery. Distilled in 1964 and bottled in 1995 for the De Viris Illustribus series, MacRaild finds plenty to enjoy, and an abundance of personality. A superb opening of lemon chutney, white flowers, verbena, chopped parsley, lemon-infused olive oil, bay leaf, clover, freshly baled hay, salted butter, chives, beach pebbles and sourdough starter. Pure, complex and distillate-driven stuff that reveals Dalmore’s natural and frequently obscured brilliance. With water it’s all white flowers, seeds, breads and cooking oils. An almost jelly-like texture on arrival. Green and orchard fruit jellies, freshly chopped mixed herbs, grass, lime zest, herbal teas, wormwood and hits of homemade lemon curd. There’s also a residual salinity as well, rather like frying bacon and beach sand. Some vegetable stock, liquid seasoning, a hint of game meats and various toasted seeds and fresh breads. Water once again enhances these autolytic, floral and nutty tones. Long, citric, slightly menthol, Darjeeling tea, hessian sack cloth, dried flowers and wool. Excellent, distillate-forward Dalmore that shows just how great this make can be when not messed about in silly finishes and diluted beyond all recognition. A breath of fresh air. Initially this is a stupendous ode to farming in malt whisky. This big, earthy, unctuous, tractor fume-laced fug of fermenting hay, cow sheds, mechanical parts, engine oil, tar and old leather. It’s Brora-esque in some ways but also very much its own thing as well. However, as is so often the case with these ‘66 Glen Gariochs, there’s something else just lurking round the corner that starts as sandalwood but moves ever so slightly towards detergent. Strange and a little bit heartbreaking. Like soap suds quietly emerging at the edge of a peat bog. Water brings out these odd notes of bath salts, brine and floral-scented candle wax. It’s a whisky of two halves. On one hand there’s a clear and vivid peatiness that’s all soot, oils, medicines, old herbal liqueurs and wood ash. On the other hand there’s an invading soapiness that is just unavoidable and really rather painful. 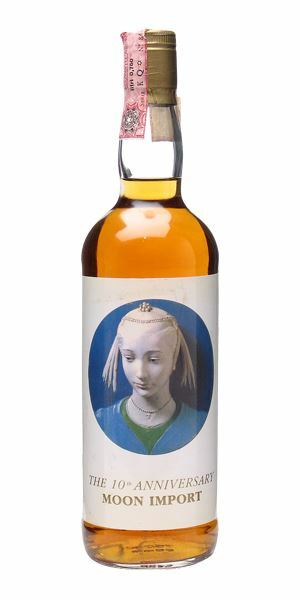 There are soapier old Glen Gariochs in existence but here it’s particularly insulting as you can feel there’s a truly sublime whisky trying to get out. Schizophrenic stuff. With water... it is pretty soapy now. Sadly, there’s still some nice gloopy medicinal aspects but you can’t get away from this wretched bar of soap that just sits in the mid-palate like a clean Jabba the Hutt. Long. Again, we’re on this perilous seesaw between soap suds, detergent and car air freshener on one side, and medicine, farmyard and fragrant peat smoke on the other. Infuriating. It’s the most bizarre thing that at the time when Glen Garioch was frequently making some of the greatest whiskies in the world, they also somehow managed to create batches that were polluted by soapiness – notably expressions from 1966 and the 1970s. Mind-shatteringly frustrating whiskies. Particularly for this bottling as for almost more than any other, it really feels like two utterly different drams warring for supremacy. Very hard to score but undeniably – sadly – flawed. In an outdoor metal bath tub you are scrubbed clean within an inch of your life by a passive-aggressive farmer’s wife testing out her new heavy-duty scouring brush. A rather brittle aroma of wood polish, sap and green banana. Hints of cornflour, wet grains, pea and ham soup, and strange things like scrunched newspaper and dog kennels. There’s also freshly opened paint, orange vitamin tablets and spiced crème brûlée. Toasted marshmallow, cheap milk chocolate dissolved in condensed milk, vanilla foam and notes of straw and sunflower seeds. Some cafe latte, runny honey, pot pourri and foam banana sweeties. An earthy side as well which arrives late but is welcome nonetheless. Good length and getting rather rummy, with notes of rum ‘n’ raisin ice cream, turpentine, sunflower oil and new leather. Not always a fan of grain whisky but this one has a few charms up its sleeve. Drunkenly arguing the merits/evils of grain whisky with Phil Storry. 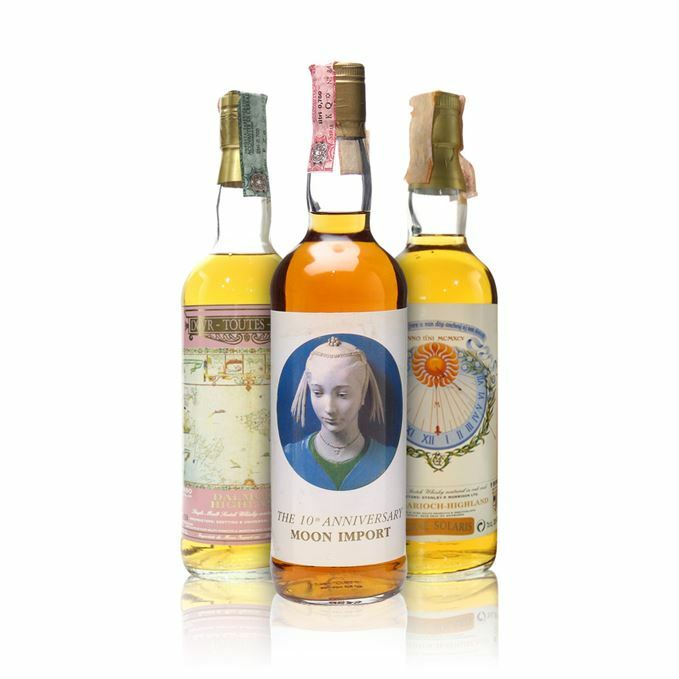 Rare Batch 61 27/03/2019 Moon Import’s revered Costume Series gets an airing in this week’s rare whisky reviews.